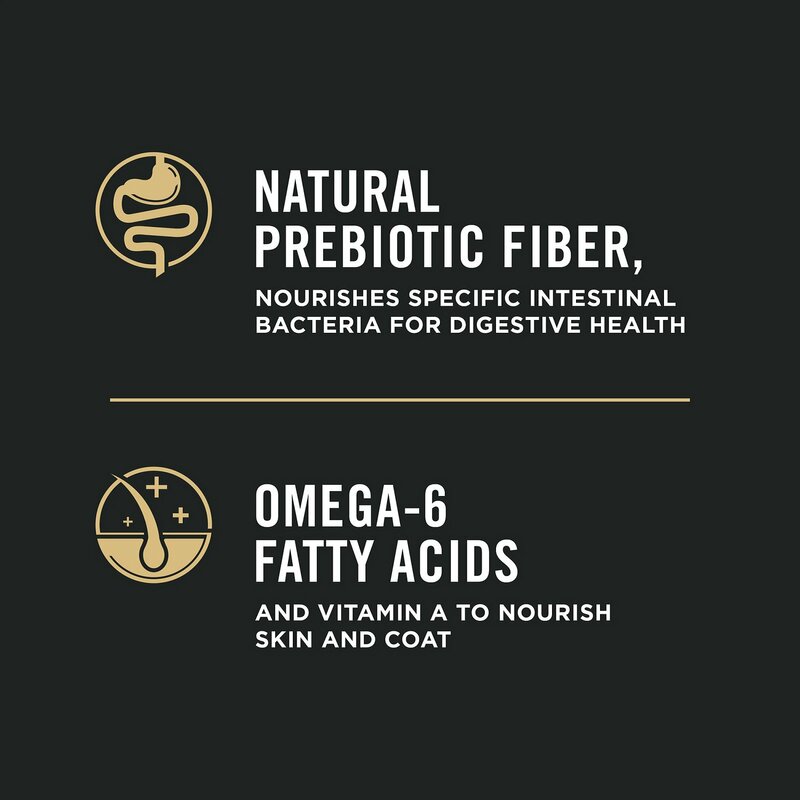 Keeping pups at their ideal body weight is an important part of responsible pet parenting… good thing Purina Pro makes it one of the tastiest parts, too! 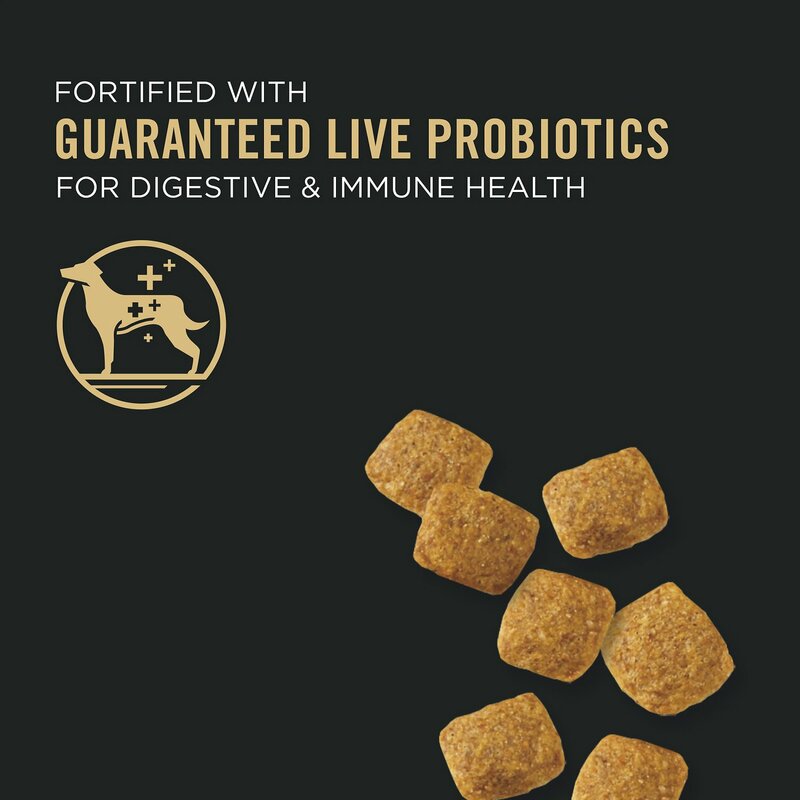 Purina Pro Plan Focus Adult Weight Management Formula Dry Dog Food is a low-fat kibble filled with lean chicken and prebiotic-packed wheat bran that's easy to digest and keeps your buddy's body lean and strong. 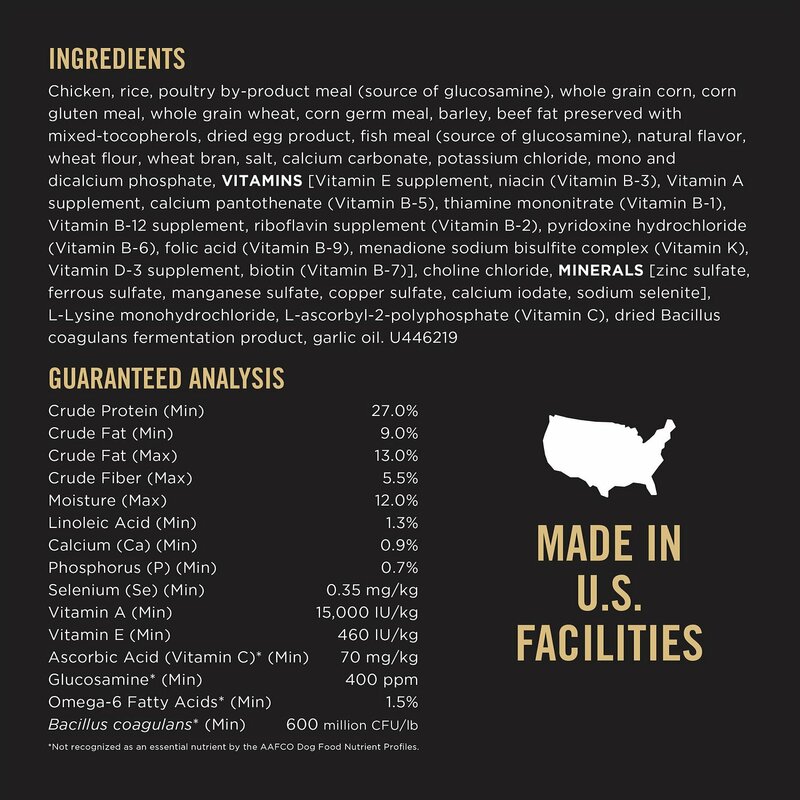 Chicken, Brewers Rice, Poultry By-Product Meal (Natural Source of Glucosamine), Whole Grain Corn, Wheat Flour, Corn Gluten Meal, Whole Grain Wheat, Corn Germ Meal, Animal Fat Preserved with Mixed-Tocopherols (Form of Vitamin E), Fish Meal (Natural Source of Glucosamine), Animal Digest, Wheat Bran, Calcium Carbonate, Salt, Potassium Chloride, Vitamin E Supplement, Calcium Phosphate, Choline Chloride, Zinc Sulfate, Ferrous Sulfate, L-Ascorbyl-2-Polyphosphate (Source of Vitamin C), Manganese Sulfate, Niacin, Vitamin A Supplement, Calcium Pantothenate, Thiamine Mononitrate, Copper Sulfate, Riboflavin Supplement, Vitamin B-12 Supplement, Pyridoxine Hydrochloride, Garlic Oil. Folic Acid, Vitamin D-3 Supplement, Calcium Iodate, Biotin, Menadione Sodium Bisulfite Complex (Source of Vitamin K Activity), Sodium Selenite. T-4462. I'm really surprised at the tiny size of the kibbles. They are not suitable for a 90lb dog. 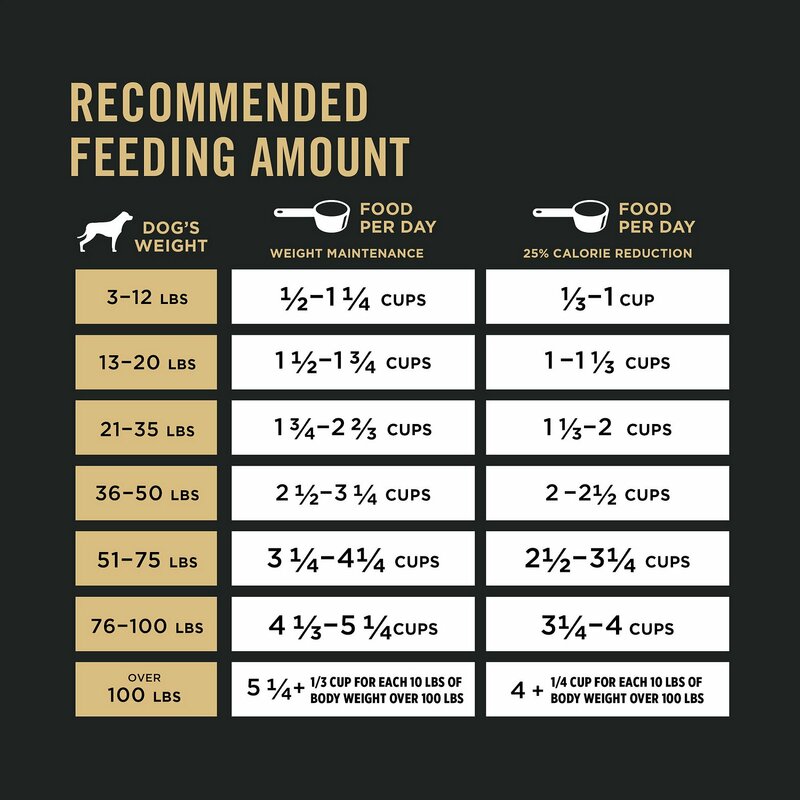 I am going to try the large breed formula next time even though Chewy has informed me the kibbles are the same size. I will have to see for myself. 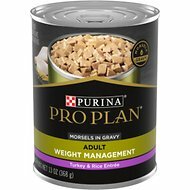 Hard to imagine that ProPlan would design kibbles for a large breed dog that are more suitable for a cat. 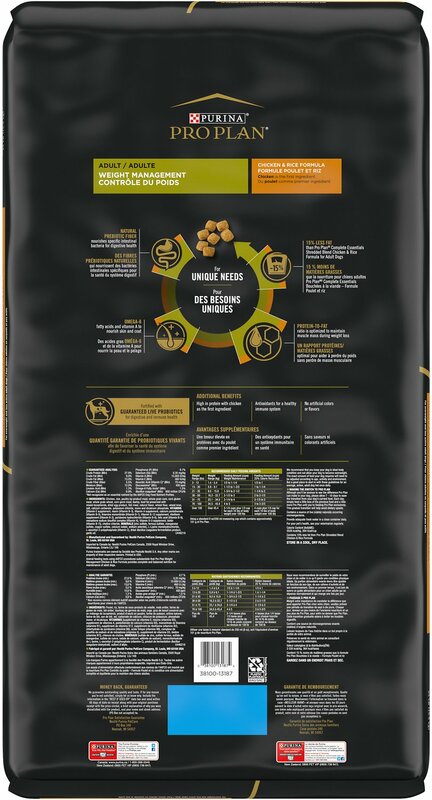 I want to verify that the large breed kibbles are just as tiny but I hate having to spend $50.00 on a bag just to see. GREAT FOOD , DOGs LOVES IT!! I have a Cocker that has had previous liver issues and he has to eat low fat food. Some of the richer foods give him gas or he refuses to eat them. 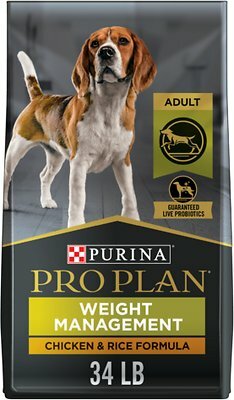 Not this one, he absolutely loves Pro Plan, it also keeps his weight down. I have started mixing it with my Shih-tzu mix food because she is getting a little chunky and she is a picky eater. She loves it, will be switching her over to this food as a complete diet within the next few days. My pups all lost weight! The only reason I'm giving this a 3 star rating is because I haven't been using the product long enough to notice a weight loss, which I realize always takes time. However, they love it. I have no problems with getting to eat it. My dog could hardly wait for me to open this bag of food. He's got a stomach of steel, being a beagle and all, so since I was switching food because I believe he had an allergy to his current food, I switched cold turkey. He was digging at the bag before I opened it and never leaves it sit in his dish. His itchy skin seems to be clearing up, but it'll be a little while before I note how it helps his weight management. My dogs, Bella and Dixie, go nutso over this food. Could be the roast beef that my Mom adds to it, but I don't think so. They have been regularly cleaning their bowls twice a day. Thanks Chewy! My dogs love the flavor and are looking really good on the Pro Plan. However, I feed the kibble as training treats and they are too flat to feed easily. Have an old dog with major allergys. He loves it , anxious for dinner time ,and easy to digest. Life saver.